"I know you think of CPF as bonds in your portfolio and you want to grow it to reduce portfolio risk and volatility but what if you are unable to do it one day? "Do you have back up plan?" "Although I feel that I should be able to continue to do Voluntary Contributions to my CPF account yearly to reach the Annual Contribution Limit, there could be a year or two or a few when I might not be able to do so. 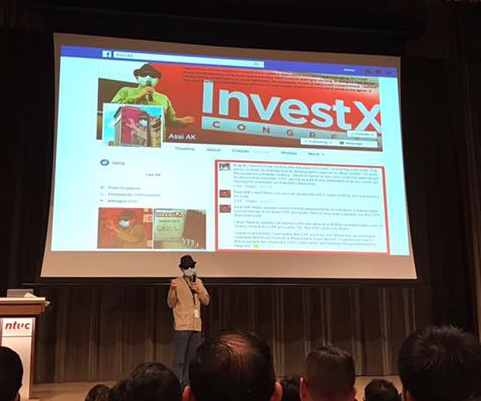 "After all, we cannot know what might happen in future and there could be times when my passive income takes a hit or when my expenses spike for whatever reason. "It is a situation that I would have to accept but it is not a situation that I would need a back up plan for. "I will blog about this and you can have a read." Why did I say it would not be a situation I would need a back up plan for? Well, assuming that I am unable to make Voluntary Contributions to my CPF account henceforth, how much do you think I would have in my CPF account by the time I hit age 65? Remember my CPF accounts by end of 2018? To arrive at an estimate, I shall ignore the effect of the extra 1% interest on first $60K of our CPF savings as well as the additional 1% interest on the first $30K once we reach 55 years of age etc. Remember, this is surely inaccurate and only serves to give me a rough estimate. Or almost $1.5 million and this is all by doing nothing from now on. This is the beauty of compound interest and having a relatively large base makes it even more beautiful. He who doesn't, pays it. It might seem magical but it is really just math. My CPF savings is my back up plan for in case things should go terribly wrong with my investments. It has probably reached a critical mass where it can take care of itself to do the job I expect it to do. 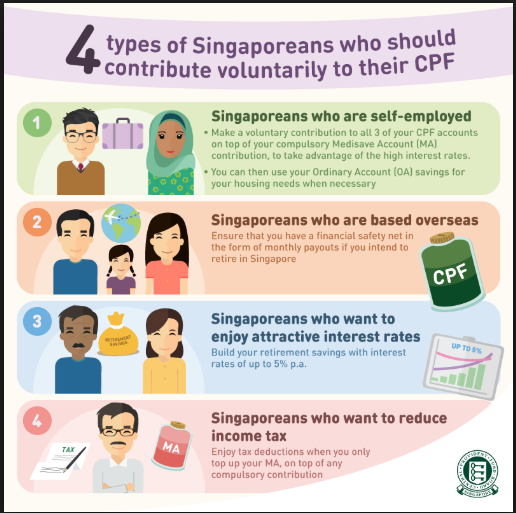 Unable to do voluntary contributions to my CPF account henceforth? I don't think it is a situation I would need a back up plan for. AK responds to HWZ on CPF savings. AK's magic works wonders like nothing else can. More effective and efficient than Cinderella's fairy Godmother. That is because it is really not magic. It would be fun for me to compete with you! Doing nothing but get S$1.5 mil at age 65 versus continue to work to get S$1.5 mil at age 65 in CPF. Er... weather very nice today hor? The power of compounding is marvellous and unique. It does not require us to do anything as the compounding effect settles by itself. I do likewise the same calculation as well. I will end up with about $900K at the age of 65 taking into consideration of the yearly credited interest. This is without the monthly contribution from the employer and remuneration which is not longer applicable to me since October 2018. The only circumstance which prevent automatic interest crediting will be in the event if the Government decide to reduce the CPF interest rate. This is always possible and though the chance of it happening is low. However. it may also happen. This is the dynamic of the world in which anything can happen. Nothing is guaranteened. The only constant is change. 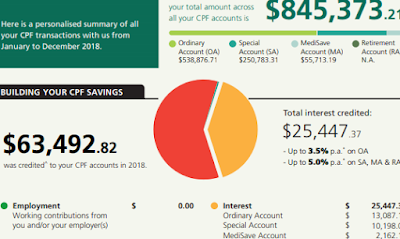 Great achievement with your CPF savings. I definitely can't achieve 1.5 mil in CPF by 65, as I have only a few years to reach 65. 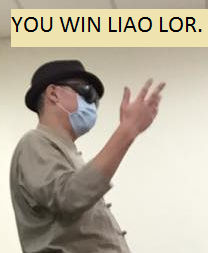 Like you said, this is not a competition. If we do something and achieve our financial goal towards retirement, we are all winners. Definitely, all of us have different circumstances. It is never my way or the highway.